Living in Uruguay is a topic that is being brought up more frequently by expatriates as well as those who are nearing retirement age. Many people dream of retiring to a land where the cost of living is affordable, the climate is mild and the community is friendly and welcoming. To the eyes and hearts of a large number of people, who live in Uruguay can fulfill all of these requirements. Life in Uruguay provides residents with access to good food, good medical care and a number of educational opportunities. 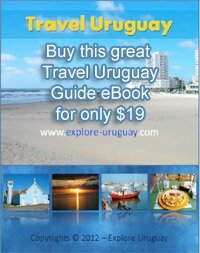 The cost of living in Uruguay is reasonable considering the higher standard of life in this South American nation. Many people find that they can enjoy a healthy, happy life here that includes travel, household help, a low crime rate, fresh foods and many of the world’s modern conveniences. Montevideo is one of the main locations that is chosen by expats and others who decide to live in Uruguay is the perfect path for them to choose. Some people decide that a resort such as Punta del Este will provide them a less crowded and more elite community in which to live. There are others who choose a different Uruguay setting such as the historically rich city of Colonia Uruguay as their permanent destination. Montevideo Uruguay is a favorite choice for many expatriates. This capital city is large, sprawling and very modern. With airports, bus service, taxicabs and car rentals available it is easy to travel to both within Montevideo as well as to other cities of Uruguay. Many top Uruguay beaches are located very close to Montevideo and even Punta del Este Uruguay is less than 2 hours away by car. There are more than enough shops and vendors in Montevideo to provide a variety of merchandise, produce, and entertainment options for retirees and expatriates who long to experience the charms of this beautiful South American Country. Most people who are planning to make Uruguay their home will need to consider their housing options. In the city of Montevideo Uruguay housing tends to be expensive but you can keep the costs in check by weighing all available options. Many of the smaller apartments that are centrally located will rent for $700 - $1200 USD per month. There are private homes in the suburbs with rent and leasing prices that range from $1500 - $3500 USD per month. Private homes and land parcels are available but apartments and condos may be the best choices. Many expatriates already live in Barrios of Montevideo such as Pocitos. Those with younger children may be more inclined to choose the suburban life because it allows them access to the highly respected international schools in Uruguay. highest standard of living in Latin America. The people of Uruguay bring home an anverage income of about $6500 per year. Those people who have desirable job experience, skills and education can earn incomes that are comparable to pay in the US or in other European countries. With a higher rate of pay you can enjoy a more comfortable lifestyle while living in Uruguay. Teaching, banking, engineering and IT are among some of the best jobs in Uruguay today. You have the choice of working full time or part time, but you should realize that many full time jobs only require 35 hours or work each week. People who are living in Uruguay can participate in the country’s social security and AFAP pension programs. This newer two tier program system has been considered a much improved version of the original social security network. New residents who come from other countries should check to see how their own social security payments can be arranged before making the final move to a new Uruguay.